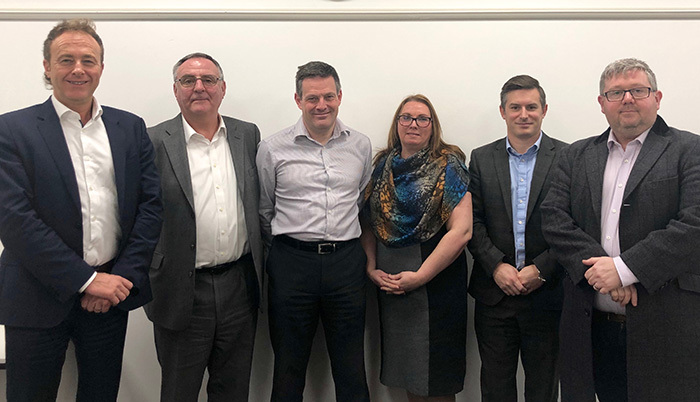 A TEAM of business experts have launched a programme of events aimed at company owners planning to exit during the next decade. 2020’s Vision, will feature specialists from a range of sectors including legal, accountancy, brokerage and marketing, all sharing insight and case studies on maximising the value of a business ahead of a sale. Their insight will reveal how correct preparation ahead of selling a business can increase the final value by up to 71%. The monthly half-day events will take place at The Mere, Cheshire, with each one covering specific value drivers such as company culture, exit options, timescales, and minimising tax. Business Broker Paul Dodgshon, a specialist adviser on exit strategies, said: “The 2020’s Vision programme has been designed for business owners with an endgame in mind and for entrepreneurs serious about building a scalable business that will deliver their ‘number’ on exit. “We’re going to meet monthly, throughout 2019, examining in detail the components of a valuable business. Our impressive list of speakers will drill deep into the core value-drivers that all serious business owners should focus on. A team of 13 speakers are lined up for the events which will take place between February and November 2019. Topics will include Competitive Positioning, Recurring Revenue, Financial Performance, reducing Risk, Improving Systems and Protecting Assets and Family. Paul added: “We want to help the business owner or entrepreneur who plan to exit their business in the 2020s.